love these shots. i seriously cannot imagine biking in those (amazing) heels! i'm clumsy enough in flats! @Victor Stonem - I agree! She has great style. typically Dutch.. we always ride our bikes, no matter what we're wearing! Did she notice you taking photos of her? If so it's cool that she didn't care about it. She looks amazing - strong and lithe. @Antoinette - yay! SO happy you have purchased a helmet! I am a massive advocate of helmets (probably due to my former career!) and I shudder when I see people on bikes not wearing one (well, except on cycle paths or roads where this is no traffic at all). Well done Antoinette! 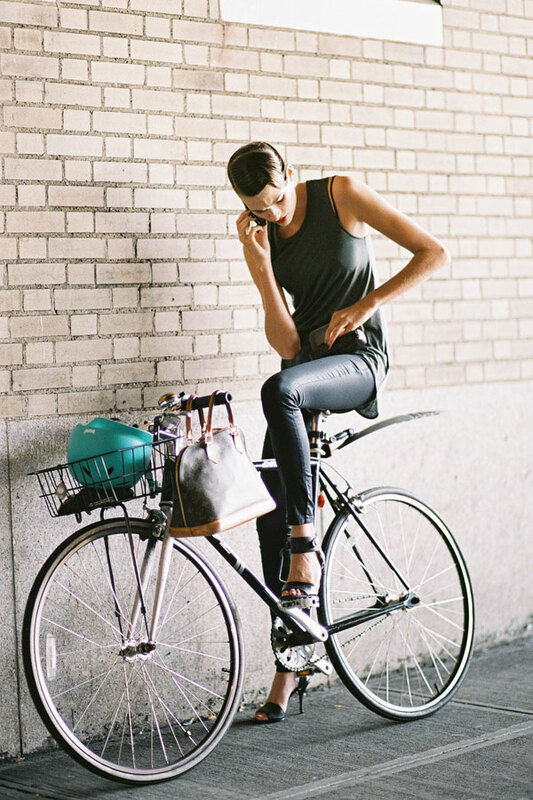 I think it's funny when people are amazed at riding a bike in heels... it's a lot easier than walking in them!